In Face to Face with Body Dysmorphic Disorder, BDD expert Arie Winograd shares his unique insights as a psychotherapist who has spent thousands of hours treating patients with this uniquely complex disorder. By specifically focusing on the patient-clinician relationship and exploring treatment options beyond the cognitive behavioral model, this groundbreaking new text offers a new perspective designed to help practitioners truly understand the emotional inner-workings of the BDD client, and in turn, how to genuinely connect with them in order to facilitate recovery. Also included are two chapters written by former BDD sufferers chronicling their personal struggles with the disorder. Preface. 1 The Experience of Body Dysmorphic Disorder. 2 The Genesis: Where Does Body Dysmorphic Disorder Begin? 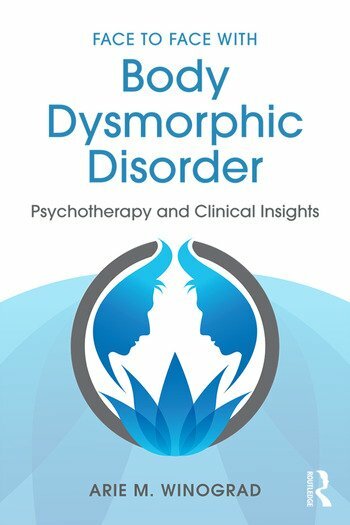 3 Psychotherapy & Body Dysmorphic Disorder. 4 In My Own Words: Sadie’s Story. 5 "If Only I Could Fix it": Body Dysmorphic Disorder Compulsions. 6 Comorbidity & Misdiagnoses. 7 Behavioral Therapy for Body Dysmorphic Disorder. 8 In My Own Words: Miquel’s Story. 9 The Cerebral Conundrum: Cognitive Therapy. 10 Medication Management. 11 Intimacy & Interpersonal Relationships. 12 The Trauma Conceptualization Model. 13 Personality & Body Dysmorphic Disorder. 14 The Family System. 15 Group Therapy for Body Dysmorphic Disorder. References. Index. Arie M. Winograd, M.A., L.M.F.T. is the founder and director of the Los Angeles Body Dysmorphic Disorder & Body Image Clinic. Having dedicated the majority of his professional career as a psychotherapist to treating individuals with the complex psychiatric condition termed body dysmorphic disorder (BDD), Mr. Winograd has worked extensively to diversify and expand treatment strategies while emphasizing interpersonal relationships as the epicenter of BDD treatment and recovery. Mr. Winograd's formal education includes a Bachelor of Arts from Carnegie Mellon University and a Master's Degree in Clinical Psychology from Pepperdine University, along with clinical training via the University of California, Los Angeles.